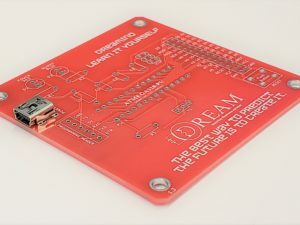 The DREAMINO Training Program is built to teach everything from basic electronic theory to programming micro-controllers. Working with electronics, you can assist electrical engineers to develop and maintain equipment. With an average reported yearly salary of $63,660 as of 2017, this is a great time to jump start your education with electronics training. This program is to teach the fundamentals of electronic theory and repair. Ideally, by the end of the program the participants will have built an intermediate level knowledge base that can be used to further their career. 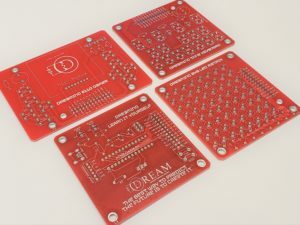 The DREAMINO uses the Atmega328p, the same as the Arduino Uno. 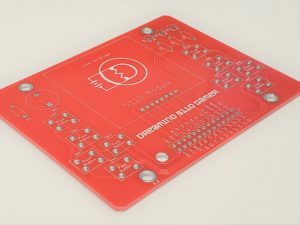 Through the program participants will build a fully functional Arduino-type micro-controller unit, a hand held gaming unit, a small musical keyboard, a LED sign matrix, and other things along the way. If you or your team would like to learn more, please contact us at: David@DREAM-Enterprise.com. This is the first kit that the whole DREAMINO Learning System is built around. It uses the Atmega328p Micro-Controller Unit and perfectly emulated the Arduino Uno. Fundamentals of electronic theory and design. Loading sketches using the Arduino IDE. The DREAMINO 5110 Gamer Kit is designed to fit on the starter kit. It uses the same screen that was used in older Nokia cell phones. It is a monochrome screen with a resolution of 84 x 48. You can use it to draw graphics and text. It also has a backlight to make it easier to see the screen. This kit teaches how to import various libraries and how to find scripts that others have written and then read and rewrite them to work on your equipment. Using the SPI data bus. Downloading and using third party libraries. Creating BITMAP images and displaying them. Writing header files to store values. 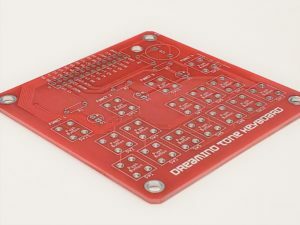 The DREAMINO Tone Keyboard Kit is designed to fit on the Starter Kit. Once built it can be used to play music. Additional things learned from this kit is how to use header files in the Arduino IDE to store values. 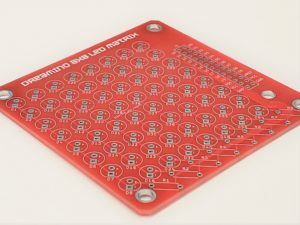 Controlling LEDs with user input. Changing and storing values based on button presses. Using the ‘tone’ function to create sounds. This kit is designed to run on top of the Starter Kit. It can be used to make letters and shapes. By the end, you could be able to make your own animations. It teaches the concepts behind things like LED signs and televisions. Other concepts gained through this kit include writing extensive nested arrays to store values for various shapes to be displayed. Understanding the concepts of matrices. Designing animated images using an 8×8 array. Using digital pins to create PWM signals.